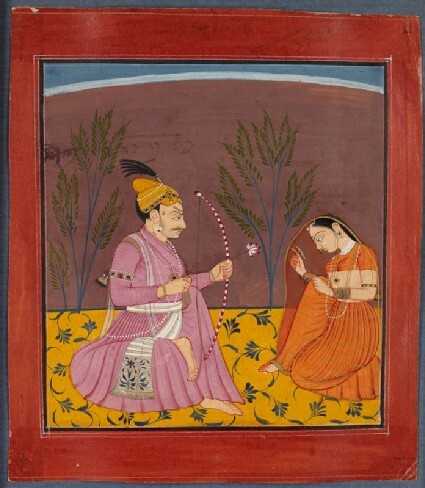 The musical mode Kusuma is visualised as a prince seated with a lady in a form of amorous encounter. Staring keenly, he directs at her his floral bow and arrow, like those traditionally held by the Cupid-like love-god Kama. She looks modestly downward, half-drawing her veil.